Whitehead began his career at Stockport and secured a move to Premier League side West Ham after a recommendation by then Stockport manager Dietmar Hamman. "Every club is on the lookout for fresh talent," Wigan boss Gary Caldwell told the club website. "It is a case of acting fast and looking to the future with these signings. "Like any young player, their early career can take a few twists and turns, but it's clear Danny has potential which we want him to start realising with us." 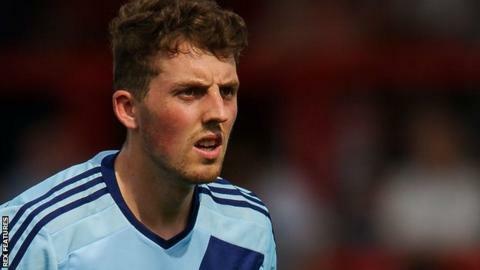 Whitehead, who joined the Slikmen from Accrington, becomes Wigan's second signing this month after Dan Lavercombe.